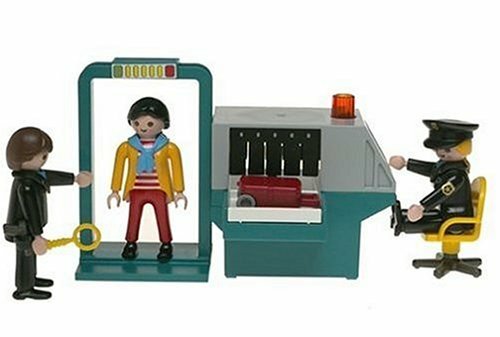 I was going to blog about the annual Marshmallow Peeps Diorama Contest but AP found something on Facebook this morning that had us laughing over breakfast: The Playmobil Security Checkpoint on sale at Amazon. The customer reviews are priceless and well worth a read. After reading many of the reviews, there is nothing left to say. Although I do like the rakish look of a sweater tied around the neck. Don’t forget to check the user-contributed images . . . I think it’s rather sweet that they employ that midget with the funny legs to scan the monitor.